Amid the ongoing clash between taxi drivers and those moving to create new technology-based services, the head of a local ride-sharing company has called for ways to coexist, saying that carpooling is just another option, not a threat to the taxi industry. Expressing deep concern, Seo Young-wu, CEO of ride-sharing startup Poolus, highlighted the death of a 57-year-old taxi driver who set himself on fire in protest against a carpooling service late last year. The planned launch of a carpooling service by Korean IT giant Kakao Mobility has been put on hold indefinitely, with the government urging the two sides to reach an understanding as a condition for approving the new business. Last month, a taxi task force joined a social dialogue body in an effort to resolve disputes over carpooling services, but it remains uncertain whether the concerned parties -- taxi drivers and Kakao Mobility -- can reach a win-win deal. “The business structure of the taxi industry, which requires a driver to pay a certain amount of money to the company from his daily earnings, makes it very difficult to innovate mobility services,” said Seo. He added that carpooling could improve mobility in Korea and citizens have the right to try out the new service. “Despite the decadeslong history of the thriving taxi business in Korea, the industry has seen very little innovation or improvement in terms of mobility quality for customers,” he said. 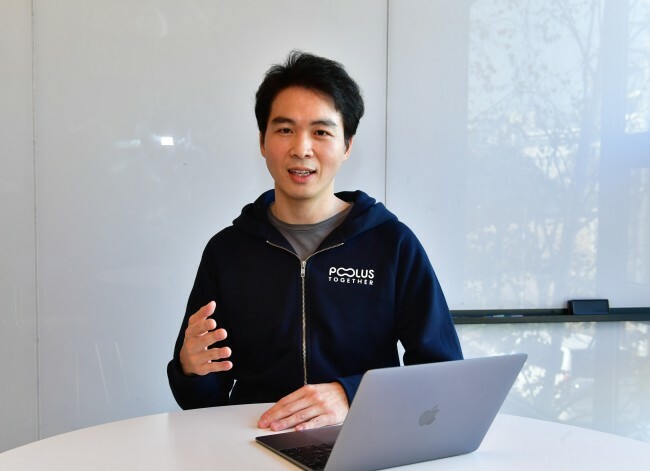 Poolus, the largest carpooling company here, launched its carpool service in 2016, after witnessing Uber’s failure in the Korean market due to regulations. In a country where peer-to-peer ride-hailing models are illegal, the homegrown app used a loophole in the local transport business law to offer carpooling services during commuting hours. It also offered up to 50 percent cheaper fares compared to average taxis via discount coupons and promotions. Korea’s Passenger Transport Service Act stipulates that personal vehicles cannot be exploited for business purposes, though carpooling during commuting hours is an exception. According to Seo, despite opposition from taxi drivers, the industry will inevitably change, as users want to see a change in Korea’s mobility-as-a-service industry. According to Realmeter’s survey of some 502 citizens in Seoul in January, 6 in 10 said they favor carpooling, as it offers convenience. Only 27.6 percent of the respondents were against the introduction of such services because it could threaten the livelihood of taxi drivers. Despite high demand for improvement of the mobility-as-a-service industry, the Korean market has a long way to go in terms of both regulations and future mobility technology, Seo said. Citing the examples of Southeast Asian countries like Malaysia, Thailand and Singapore, where Southeast Asia’s largest ride-hailing app Grab is legal, Seo said Korea should learn how these countries embrace and encourage such new technologies. In 2016, Malaysia introduced the Taxi Industry Transformation Program, which eased regulations on taxis while imposing a strict registration process, in an effort to improve the quality of taxi drivers and ride-hailing drivers. “(ICT industry) insiders here are aware of how those countries innovated by freely trying out and developing mobility technologies -- even in countries with low internet speeds compared to Korea,” said Seo, adding that Korea needs to improve understanding and awareness of how the future of mobility can impact lives here.